Full Disclosure: Seth did not pay me anything or compensate me in any way to write this post. I do have access to Expertflyer, although I’ve never been a heavy user of it. Most often I use it to check paid loads, award space, MPM and MCT, and seatmaps. 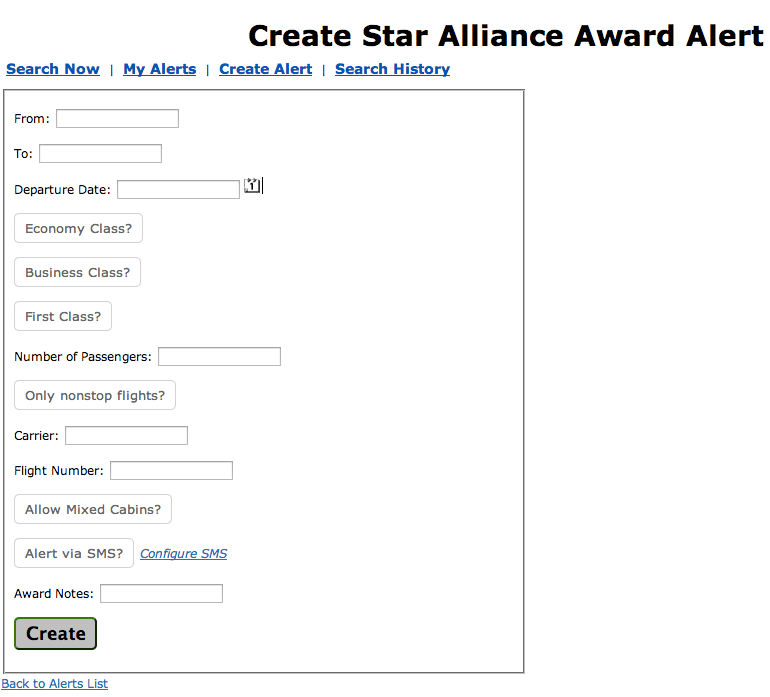 But anyways, as you may (or may not) know Expertflyer very recently lost access to Star Alliance award space and alerts. A lot of members felt that this made Expertflyer a lot less useful. 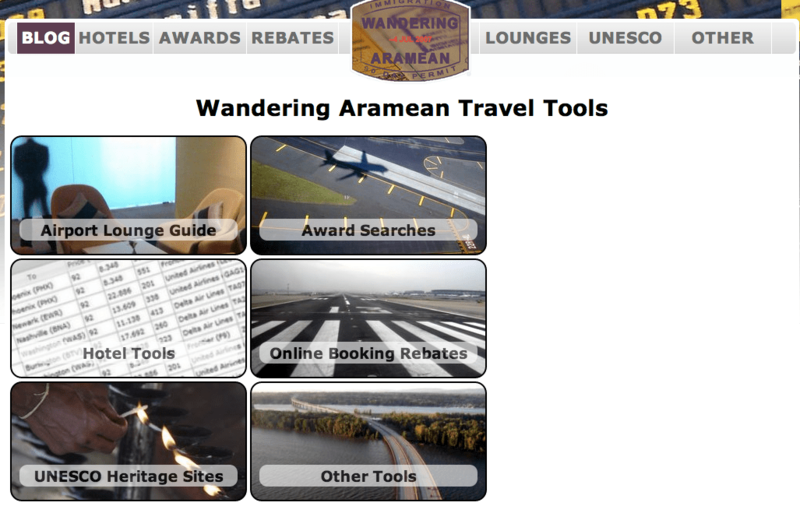 Believe it or not, I actually very rarely used Expertflyer Star Alliance alerts, because I have access to another great and likely lesser known tool – Wandering Aramean Travel Tools, which my fellow blogger at BoardingArea Seth runs. I’ve used these tools for quite a while and it makes alerts painless and convenient. 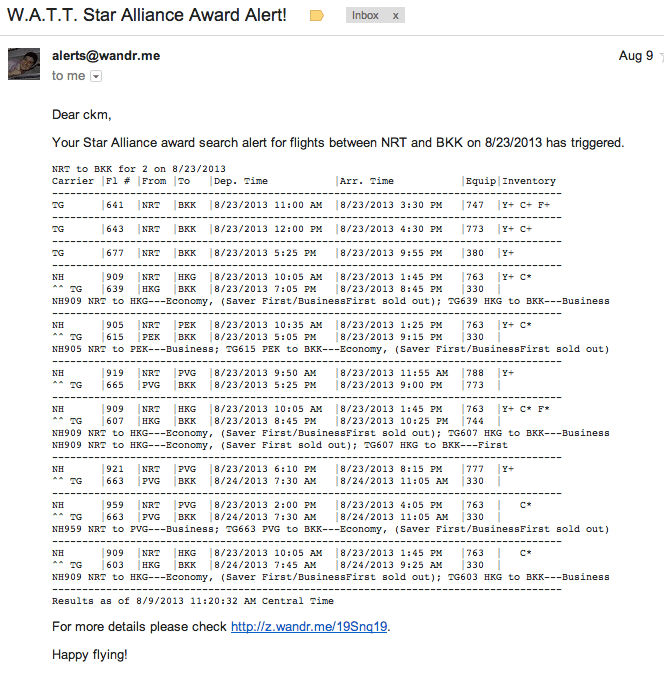 I’m surprised all the major bloggers who wrote about ExpertFlyer losing Star Alliance alerts haven’t written about WATT. His tools are to say the least as good as ExpertFlyer and KVS Tool, both programs I use frequently. As far as I know this is the only site/tool that lets you set up alerts for Star Alliance and Oneworld that don’t charge you per search. The emails list classes of service and mixed class itineraries as well which I appreciate. If you don’t currently have an account, sign up here. Once you’ve logged in, go to the Awards Tab and then click Star Alliances. It’s pretty straightforward and self-explanatory. The alerts are very easy to set up and you can also set what class of service and specific flights to look for as well (although I think that is a paid option). It’s free to signup for, so everyone who is reading this and needs to book award tickets really should get an account! There is a free as well as a paid “First Class” subscriber option – I have the paid one which I think costs $15 a year so that is very reasonable for essentially unlimited automated searches.I get emails 4x a day as a “First Class member” while regular members get them 1x a day. 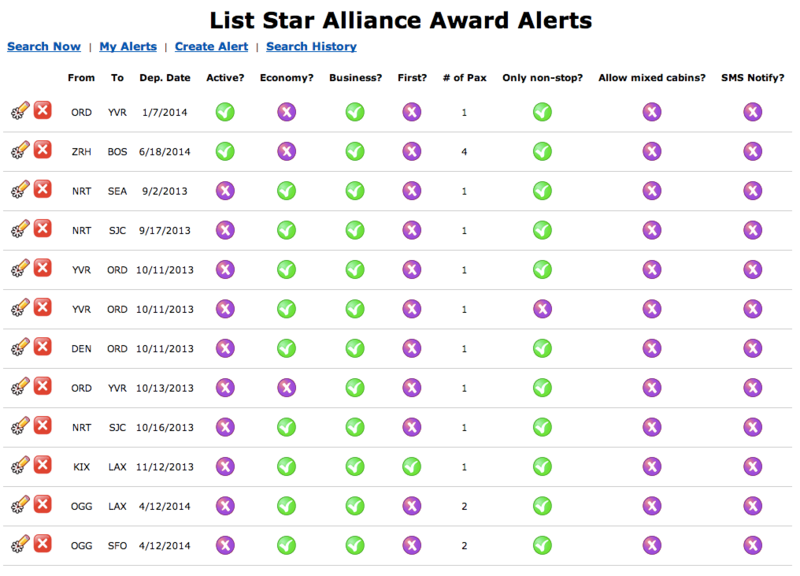 WATT also has an option for Star Alliance alerts pulling from ANA as well as oneworld alerts (which pull from Qantas) so to a large extent this should be the tool you’re using for alerts if you don’t currently have one. I’ll write a full review of Seth’s tools soon but right now as I just realized I haven’t written about miles/points tools at all this should be a useful post. As always, if you have any questions feel free to comment below. great reminder. I had signed up for WATT a long time ago, but had forgotten about this feature. Thanks Jeff. Very timely post for me–I’m using using WATT right now and was wondering why none of the bloggers ever mention it when talking about checking the UA or ANA site for *A (or AA and AQ for OneWorld). I was wondering if there was a problem I didn’t know about, so appreciate your post. However, now I really am wondering why this (and others like AwardNexus) don’t get mentioned–it’s so much simpler to do a one-stop search and set alerts. I don’t know its me only or that is normal that I get a lot of error messages on his search tool. May be I am not using it right. Also since he uses ANA for star alliance, how do you search more than 4 seats as that is not an option with ANA? You can use United (the regular alerts) as well. Considering that Seth’s tool also uses United as a data source, that will likely get shutdown as well. You should be clear about that. I’m not too worried about that as KVS and other services pull from United, and they have a much bigger customer base as far as I know. Because it pulls from ANA, does that mean the tool is also limited to searching 330 days out? Correct. But united is limited to searching 330 days out as well. Is there a way to set up an alert on a route rather than a specific carrier? Say I want to fly IAD-IST with Turkish in business. I am flexible with my travel date in July. besides setting up several alert each day, is there a better way to do it? I don’t think so! You can specify direct though so you can set up a whole month of alerts to see if anything shows up. Just a quick comment to tell Seth that this was a post I found when Hack.Trip sent me all those emails. Great reminder and one I would have missed! Thanks Jeff and Seth!